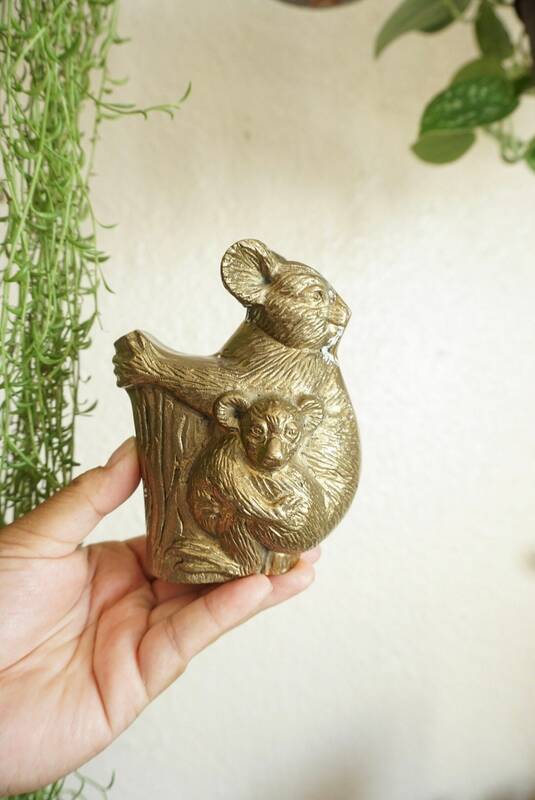 Lovely solid brass koala bear and baby on a tree. 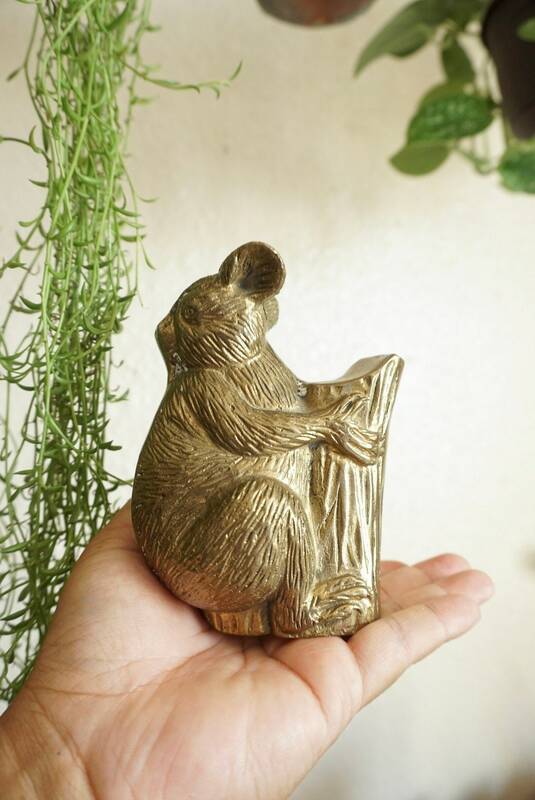 Solid and dense brass with great detailing and a lovely representation of a parent and child koala bear. 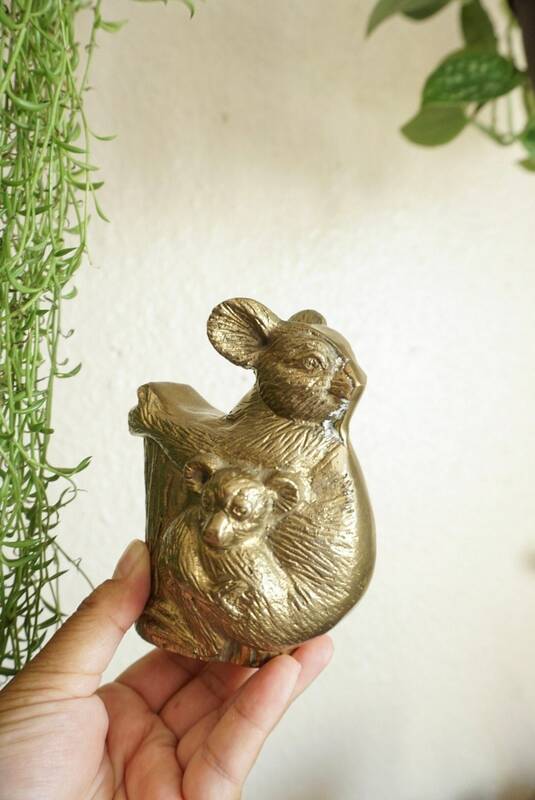 Vintage condition with patina in various spots.